If you manage to pass your theory test with flying colours, congratulations! You’re halfway there. But you’ll need to succeed in your practical test before you can become a qualified driver. Be aware that not everyone passes the first time, and this is completely natural. Driving under pressure whilst being assessed on every move can be off-putting, especially if you’re prone to getting nervous. 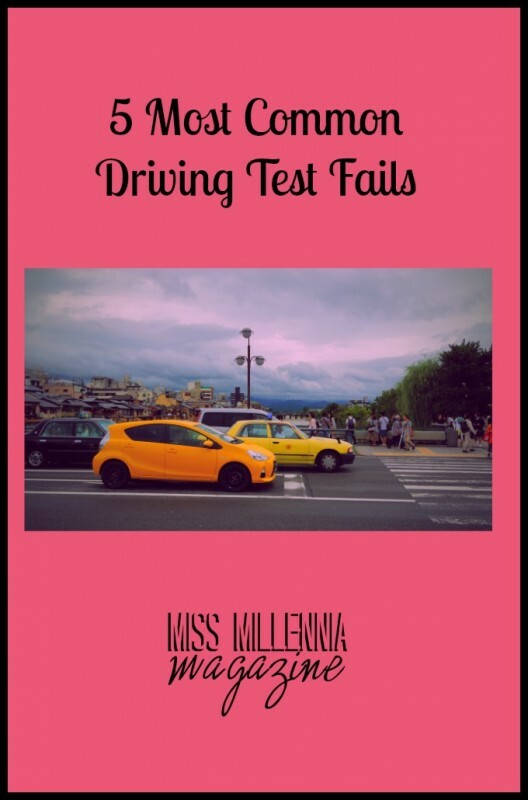 However, if you’re aware of the common mistakes and fails that people make during their driving test, you have a good chance of avoiding them. So here’s an explanation of the 5 most common ones to help you out. One of the most common mistakes that drivers make both during their test and day-to-day on the road is forgetting to check their mirrors. If a hazard suddenly emerges in the road, for example, many people will simply slam their brakes on without checking to see the traffic behind them. Similarly, they might make a manoeuvre without looking in their mirrors to see that there are no hazards in the immediate area. Don’t get slanted for this silly mistake, you’ve heard what your driving instructor said so don’t forget the basics in the real exam. When the instructor tells you to take the next left, turn right at the roundabout, or basically any direction or manoeuvre that requires a signal, leave plenty of time to do so. Put your indicators on in good time to warn other road users that you’re about to make a move, and be careful not to make a mistake such as an incorrect signal. Keeping calm and observing the road at all times will help you to signal correctly. When you come to a junction, whether it be a roundabout or a T junction, make sure that you come to a slow and steady stop in the correct position of the road. No riding across two lanes or leaving your car bonnet hanging over the lines, as these will be counted as a fault or even a fail. Indicate if appropriate and make sure that you observe properly before pulling out. There’s a lot to think about when mastering junctions but just take your time, observe your surroundings, and get plenty of practice before the real thing. You might be worried about going over the speed limit when taking your test; with so much to concentrate on, it can be hard to remember to look out for changes in the limit. However, you should also be aware that driving too slow can get you a minor too. If you’re holding up traffic for no apparent reason, you could be penalised. So whilst you should be cautious and keep your wits about you, don’t let it affect the quality of your driving. When you finally get to the day of your practical driving test, you can almost taste the sweet success of becoming a legal driver. But don’t let nerves or excitement get in the way of your concentration. Remember everything that your instructor told you, avoid these 5 common mistakes, and you’ll hopefully be able to hit the open road in no time!